One child can make all of the difference...have you ever noticed that? A particular child is absent and you have a completely different class. Even though, that particular child is NEVER absent and NEVER gets sick (or maybe it is just the parent doesn't want to keep them at home). Or there is a particular child that does a certain something that maybe annoys you a wee bit or you find yourself counting before you answer or respond to that child that after you have given the directions about 5 times and they then ask you what they are supposed to do. You start wondering what is going on in their little minds. I have taught some tough cookies. I have taught kiddos who know WAAAAYYYYY more than me about subjects that a Firstie should not know. They tell me about movies like Saw, Chucky, Nightmare on Elm Street, and many more that I would never dream of watching but also find my heart hurting because they don't know about Bugs Bunny and Daffy Duck. I am speechless still when they don't know Nursery Rhymes like Humpty Dumpty and Little Miss Muffet. This year I have a child who has ever, ever, EVER heard the stories of The Three Little Pigs or The Little Red Hen. My mind worries what they go home to and my heart hurts for them....especially for the ones who I don't even know what might be going on in their little lives. Several years ago on one of our comp days our counselor gave us all a small stone. We were told to hold that stone in our hand ALL DAY LONG....when we ate, when we went to the restroom, when we worked on lessons. Some teachers put theirs down quickly or forgot where they put it down. Some of us kind of fussed about how hard this was. We later realized that these stones are the burdens are kiddos carry with them into our classrooms each and every day...except they cannot put them down nor do they leave them at the door like we might expect them to. I also want to share this poem that I shared quite a long time ago that some of you maybe haven't read yet. You will teach many lessons this week. Many of those lessons won't come from a cute activity you found on a blog or from your Teacher's Edition or even from your curriculum. Those lessons will be watched by little eyes who learn how to react to different situations by how you react to them. Lessons you will teach through the patience, kindness and love you show them. A lesson about how to just be there for someone through the laughter and the tears....and a lesson on love. I love it! Thank you! You are so right in your message! I personally realized this about 4 years into my teaching... I had a secretary talk to me about I am always positive and never complain when she had to bring me a new student. It really got me thinking that wow... these kids are watching all the time! They are learning when we are not even teaching! So, even though it was a compliment... it still got me thinking about all the times I could react that I don't. Being a great teacher means rolling with the punches! And if you can't handle the heat... get out of the kitchen! =) Thanks again for this. I really enjoyed reading it! Thanks for the post! I love the poem. It helps to remind us that those students are learning so much from us....including how we handle problems and if we show them patience and kindness then they will learn to do that too. Great post! I needed this reminder! Tomorrow I'm subbing in a super tough classroom. Thank you so much for this! Enjoy your week! This is something I will hold on to for the rest of the year. This is great to read every Sunday before a new week begins:) thanks so much for your words that every teacher understands!! I'm going to share this with my fellow teachers tomorrow!!!! Wow, that was really what I needed to hear, especially as we get to a point in the year that gets very tough, as spring fever hits. Thank you so much!!! Thanks so much for the inspiring poem and post. You are a true sweetheart, Heather! Thanks! You are such a doll! Totally agree with you. Thank you for sharing your poem. It is so right on! Wow, what a powerful post, Heather! You definitely touch the lives of your students AND your readers on a daily basis. I just bookmarked this post to come back to on a rough day. Thank you for your inspiration and important reminder. Your students are very lucky to have you and we are lucky to know such a sweet and kind person! Thank you! This was much needed! So perfect and I can't wait to share this with our prayer group on Wednesday morning before school starts!!! p.s I LOVE Casting Crowns!!! Such a precious post! Thank you for reminding us! Thank you, Heather! I am blessed to be able to teach in a Christian school where we are quite often the "last hope" for some kids. I have seen God do amazing things in the lives of my students. You CAN'T touch their heads before you touch their hearts! My toughie this year told me he loved me on Friday...I almost melted into a pool of tears! Keep up the good work. I'm looking forward to following you! Thank you so much for this! I have a few kids in my class that try my patience and sometimes I forget that I am the only Jesus they will see. Thank you so much for the reminder! Have a blessed week! Thank you so much for the inspiring poem! I love it. I'm going to share this with my coworkers at our 3rd grade meeting tomorrow. Have you thought about writing a devotional book for teachers? :-) This is a beautiful post! Thank you! I needed this! I have a little darling in my class who's parents are going through a divorce right now. She writes me notes about how her heart is breaking, but also acts out - angry and disrespectful. I've let slide a lot of things that I normally wouldn't, and I'm just hoping that enough love and understanding will see her through to the other side of this. However, dealing with her emotional upheaval on top of everything else leaves me DRAINED at the end of the day! Your poem reminded me that I do make a difference! Thanks for rejuvenating me! I printed out your Because of You poem. I love it and it will be nice to read it on those tough days. Like you I've had kids who know too much about things they shouldn't. One student recently raised his hand and started with," When my brother was in juvie.." I stopped him and told him that maybe we should talk about that later. Awww, geez. I'm sharing your poem with my fellow teachers to start out the week. Perfect! Thank you! Thanks for the reminder and the copy of your poem. Heather thank you for being an inspiration and sharing your heart & creative mind with us. I haven't left you a heart note before (I'm blocked at school) & I'm reading this early this morning from home. Anyway, thank you for being Jesus to your blog readers and a reminder that we are to our students and everyone around us. I am downloading that song & the poem as I type. Again, thank you, thank you. You are awesome...treasures are awaiting you in Heaven! Thank you from my heart to yours. I'm keeping this in my pocket. Heather! That was beautiful! Thank you for reminding ME what teaching is all about. I really really needed this this year! Beautiful, what a wonderful reminder. You are wonderful and this post is fantastic. I am having a day where I am seeing the pain and hurt and even hearing the stories. One girl said her granpdarent's house burned down last night and it was the home that her mom grew up in...she is not able to focus on anything. This post is exactly what we need to hear to remember how hard life can be for a six year old with no control over their life! on a side note, I tried no less than 10 times to update my blogroll to show yours and 23 other new blogs that I follow and it won't save. I emailed blogger about it but they haven't responded. I hate that it looks like I don't follow. I really do. I don't know what is going on. Thanks again for your post today. Thanks for writing this. Sometimes we all need to be reminded that we are a role model in not just how we learn, but also in how we act minute-to-minute. Some teachers like to keep their personal lives so separate from the kids, but I think it's important for them to hear that my life isn't just perfect. I will tell them, "My grandpa is in the hospital, so I might be a little distracted today, but I will try my best." or "I woke up late today and I'm feeling a little grumpy, but I'm going to work really hard to have a great day anyway!" I think they need to see people deal with bad days and tough times the right way, because so many of them don't have a role model for that except for us! Such an inspirational post! I needed that on this particular Monday. Thank you for sharing. Beautiful words that make so much sense. With all the negativity regarding education it is good to realize that we, indeed, have a very important influence on our "kids". Thank you. Heather, this is such a great post. It's good to read these inspirational words during this time of the school year! Well now Im crying. I absolutely love this poem. You are such an inspiration. I love reading your posts. Thank you. Thank you for sharing. With all of the lesson planning and constant assessments, it's easy to forget sometimes how much our students count on us and how much we can always learn from them. You provided us all with a good moment to stop and think about our lives as teachers. WOW! What an amazing lesson. I'm for sure going to use the stone lesson in one of our faculty meetings. We have some staff members that always expect each child to be PERFECT. Thank you for reminding me that my actions, big or small, effect my kids in ways I may not (and probably can't) understand. It's humbling, and I needed to hear it! Thank you! ~Heidi V.
Thank you for sharing this. Reading the lyrics to that Casting Crowns song brought tears to my eyes. It's true that these little kiddos bring such hueavy burdens with them to school--stuff that I've never had to deal with and maybe never will. Thank you for reminding me that my desire as a teacher is to show my children Jesus' love. Wow. Your poem was very inspiring. Hits so close to home. Your blog is so cute and creative as well. I will have to take you up on your offer to help me with any questions I have with my new blog. Thanks for following me. I'm your newest follower. Hi Heather, thanks for stopping by my blog! I'm glad you approved of the Spanglish usage, it's good to have a vote of approval. I love that you have included your cat on your blog so much! My cats always seem to show up in the pictures I'm taking at home, so I might as well include them on purpose! OH, an by the way, I'm now your newest follower! Thank you so much for this post. It's always good to be reminded why we do what we do. You're blog is such an encouragement and a blessing! Thanks for sharing these thoughts. It is always good to be reminded of them. Its so important as teacher but easy to forget with everything else that goes on! 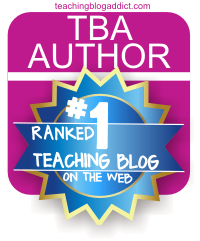 I just awarded you with Teaching Blog Addict’s Top 10 Award! Yippee! Thanks for sharing your amazing talents! 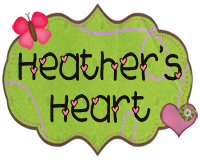 Heather I just gave you a sweet little award for all that you do, stop by my blog to grab it! I love your blog and your great ideas! I'm giving you the One Lovely Blog Award. 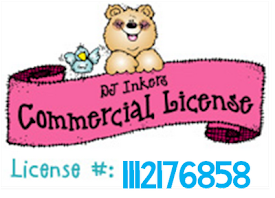 Come on over and take a look. I left you an award. It will be viewable on my blog tomorrow! I think your blog is awesome! I nominated you for an award! Come on over to accept! What a beautiful message. I just love reading your blog. Thank you for sharing this. Also, I was going tell you that I nominated you for an award but see that 2 others beat me to it. :) I still want to share it with you though so stop by if you would like. I love this! When you work in a school where the students test you every day, sometimes it's nice just to have the reminder that you are, in fact, making a difference. Thanks for sharing the poems! I'm your newest follower! I've given you an award! Come on over to accept it! Heather --- I love how you can find a way to honor God in your posts. You are an inspiration and I thank the Lord for putting you into my bloggy life. Thank you for always finding a way to show your heart and love for Jesus in all that you do. Curriculum cops...lol!!! 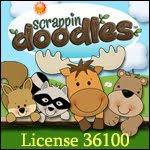 Thanks again for following my blog. I was already a follower of your page when your left me a message. It's wonderful blogs like yours that made me want to start my own.